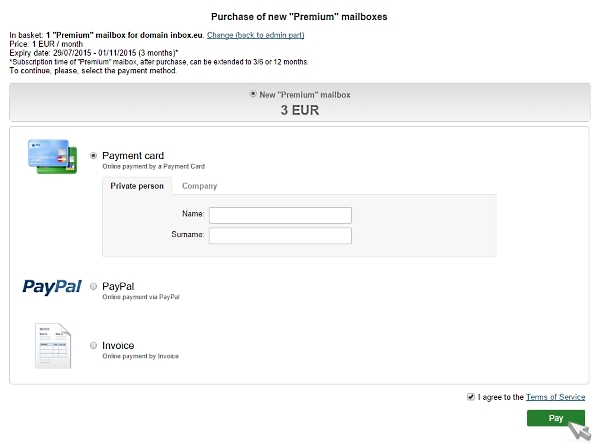 To be able to buy "Premium" mailbox you have to be domain owner or administrator. press the "Pay" button and make a payment. After payment is made, you will get as much quota as you specified when purchasing. It means that you can make as much mailboxes as you need. 1 quota = 1 "Premium" mailbox. 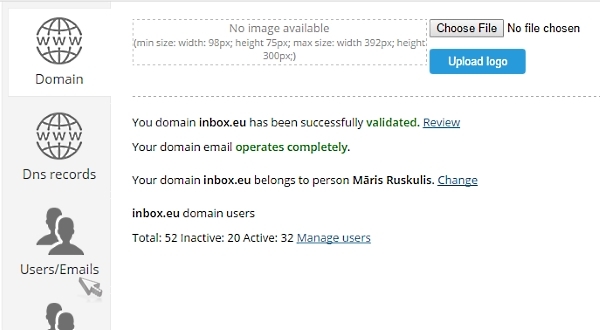 After successful process of payment You will receive a notification to your email and also will see the changes in the available mailbox count. Payment information is available in the administration panel, in the "Billing" section.